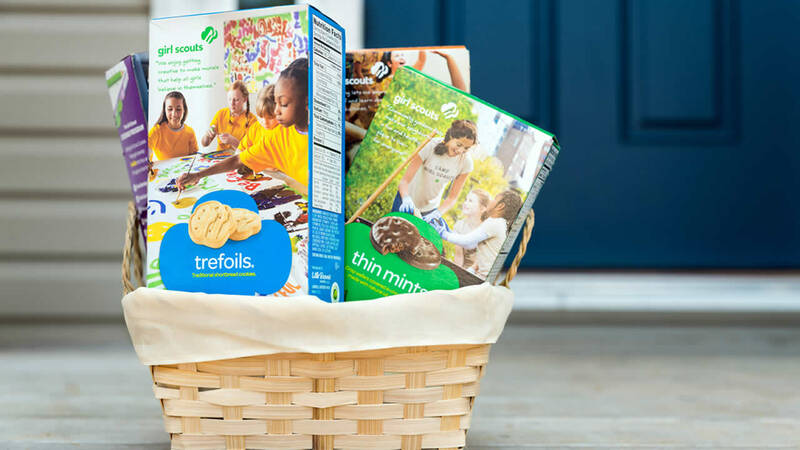 Basket of Girl Scout cookies. CRISP POINT, MI -- Two sisters from Oklahoma and Nebraska said Saturday that they survived in a remote part of Michigan's Upper Peninsula on love for their family, melted snow and the little food they had in their snow-crippled SUV. A day after being spotted by a police helicopter in Luce County, Leslie Roy, 52, and Lee Marie Wright, 56, offered thanks to their rescuers and others involved in the nearly two-week search after they disappeared earlier this month. "Through the days and nights while in the woods, we survived using love and hope in our families," they said in an emailed statement. "Our faith in God held our confidence that we would eventually be found. We took note of circling aircraft, available water resources, the supplies we had with us. These factors eased our mind and allowed us to stay alive for thirteen long days." Roy, of Valley, Nebraska, and Wright, of Depew, Oklahoma, got stuck about 3 miles from Crisp Point Lighthouse along Lake Superior. They had been visiting relatives in Ishpeming, near Marquette in another part of the peninsula. The sisters had planned to head south on April 11. They had a reservation at a hotel in Mackinaw City but never showed up. Instead, they were trapped in snow on a little-used road until a police helicopter pilot noticed a reflection Friday off the Ford Explorer. There was no cellphone service and the vehicle eventually lost power. State police Detective Sgt. Jeff Marker told The Associated Press that Roy and Wright wore layers of clothing to stay warm, melted snow to drink and ate Girl Scout cookies a bag of cheese puffs. The sisters were examined Friday at an area hospital and released. "Lee and I would like to thank everyone. Friends, family, strangers from afar for all of their thoughts and prayers," they said in the statement.